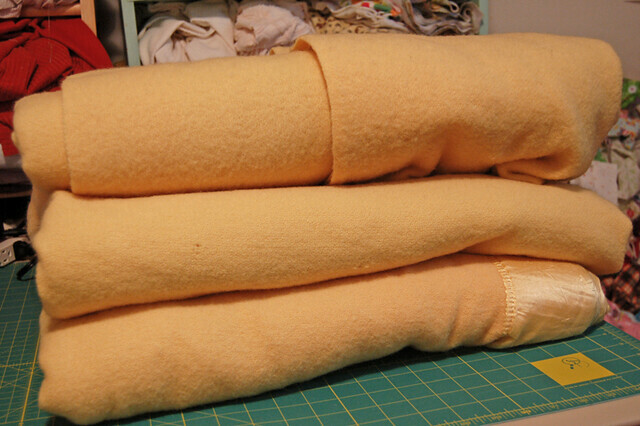 wool blankets - before | Flickr - Photo Sharing! Pretty sure my grandma had the same ones. too bad I didn't snag them when she died. OK, but I was 16. What would I have done? Brought them with me to the dorms? And then to the other 10 places I've lived in the meantime just so I could have them now? Oh, hopelessly unrealistic, Grace. ah yes. we've all seen a few of these around. i really love your ideas with them!